The Chickenman was the chicken business for almost 30 years. He writes cowboy poetry and loves cowboy music. He studied Agronomy college and is a Vietnam veteran. He the Master of the grill and makes the best Texas Chili you have ever eaten in your life! Mandy-Jo, our daughter, attends grad school at Texas Tech University and is studying Muscle Biology. 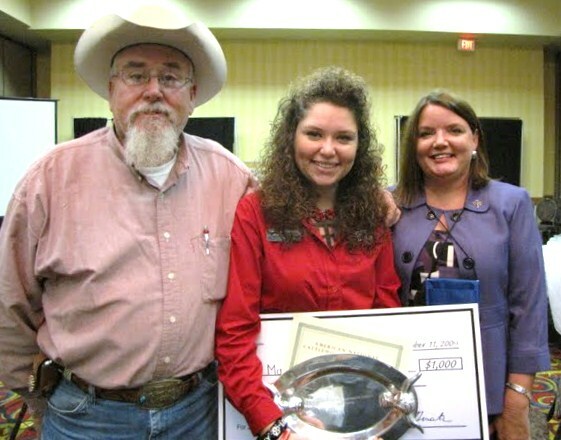 She is a former National Beef Ambassador, a National and World Champion Collegiate Meat Judger and a member of the 2013 Collegiate National Champion Meat Science Quiz Bowl Team. You might say she is a little competitive! I’m a lover of all things Beef. I have a degree in Animal Science and Biology. I’m an Agvocate for Agriculture and addicted to Pinterest, Facebook & Twitter and Instagram. This year I am serving on the American Brahman Breeders Association Communcation Committee and the Beef Promotion Committee for the American National CattleWomen. We have two dogs, Lorie darlin’ a Great Pyrenees and Woodrow the Weinerdog. There is a horse (Chief) and a donkey (Pedro) in our pasture and we affectionately refer to them as “non-functional pasture decoration”.